Joring is a swedish word meaning basically ‘being pulled’. Since Joring began hundreds of years ago, the term Joring can also mean being pulled by a horse, called Ski Joring. How does dog Joring differ from dog sledding? Dog Joring quite simply is a term reserved for activities that you do with your dog in harness, attached to you or a Scooter, Bike or other small device like a skateboard or skiis. One or more dogs harnessed up to a sled would be dog sledding not Joring.Here in Canada, the term Mushing is also used, interchangeably between dog sledding or Joring. The Swedish folks, and their Scandinavian neighbours, have made the term ski joring famous, training their dogs to run ahead of them on a tether, while the person is skiing behind. Joring has become a common term around the world but other countries have their own names for this sport as well. The Swedes did not entirely invent the sport itself, but the name Joring came from their language. In SkiiJoring, the dog and human are assisting one another, with the dog pulling because naturally a dog can run faster than his handler. The skier behind assists by pushing off with skies and poles, allowing for a much faster rate of travel than without a dog. Joring started off as a winter activity in countries with snow and ice on the ground for months at a time. However, with wheeled devices, Joring can be done during summer months too. Joring with bikes, skateboards and roller blades, is a great way to stay in shape for those sport loving folks that especially love to indulge in skii joring during the snow bound months. In Canada, we are blessed with a lot of sports involving snow and ice. Not everyone appreciates the cold of course, but winter is a lot more fun if you get out and get involved with winter activities. 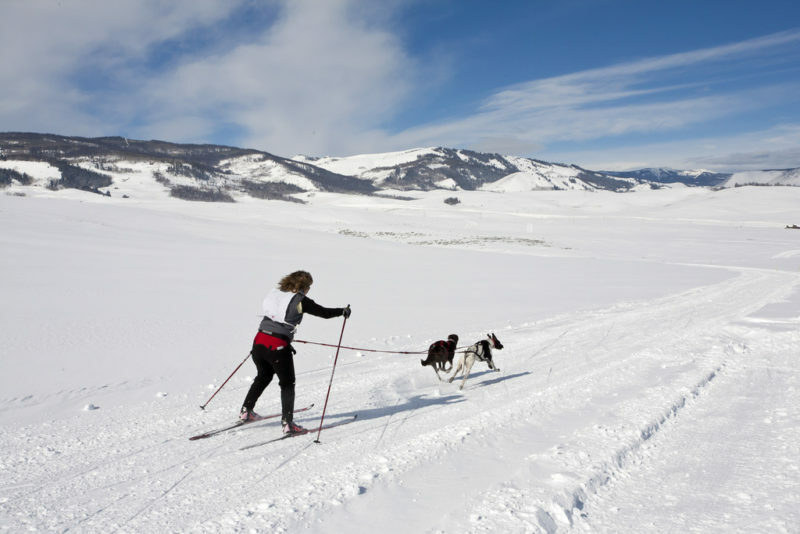 A lot of you enjoy cross country skiing, so if you have a healthy and trainable dog, medium size or larger, you have the opportunity to learn how to do some Joring! What kinds of dogs can do well Joring in the snow? I don’t advise joring with a small dog like a Terrier or Dachshund or really most dogs under 40 lbs. Winter sports like ski joring involve a lot speed and pulling so a small dog would be hard pressed to keep ahead of you and would likely be exhausted too quickly. Huskies, Malamutes, Samoyeds, Border collies, German shepherds, Setters, Retrievers and many crosses, are popular breeds for Joring. For the winter types of joring, like skiijoring, I don’t recommend breeds that are thin skinned and vulnerable to the cold like dalmatians, mastiffs, greyhounds and many others. Sure you could put a jacket and boots on them, but that does not entirely cover other vulnerable areas to frost bite when spending hours outside in the ice and snow. The breeds that already live outside with good shelter and therefore are acclimatized already or house dogs with medium length fur to protect them moderately, are the best candidates for winter joring. My two Golden Retriever crossed breeds, spend a lot of time outside and therefore are used to the colder weather. I have in fact given my older Retriever some training in pulling a toboggan. He picked up on this training very quickly, and I took a short video of his first session. Sirius is crossed with Border collie/rough collie, two breeds that could do well in joring. My younger Retriever cross would not be a good candidate for joring or sledding because he lacks the drive. Ciro is on the reserved side, and prefers quieter times.. Ciro is crossed with Great Pyrenees, a breed that does not have the drive or energy to do well in joring or sledding. He is attracted to livestock, which is what the Pyrenees is known for, protecting livestock whether it be sheep, chickens or cattle. His favorite activity is watching our neighbour’s cattle, watching me take care of my chickens or just hanging out with our many cats. A dog brimming with self confidence, enthusiasm and drive will be eager to learn a new skill like Joring. Confidence is important too. Why? A dog that wants to stay by your side all the time or follow at your heels, will have to be re trained to run ahead of you, and hauling on the line. My older dog Sirius is like this, he adores me and nothing makes him happier than to keep an eye on me or to lean into my legs. When I was teaching him to pull, he was happy to do that for me but only when I walked in front or by his side! His feelings are hurt when I have to send him farther away from me… not a good candidate for sledding or joring. Many of my pages are devoted to teaching leadership, not allowing your dog to walk ahead of you etc without your permission. Joring is one exception, when you put that harness on, and use the command ‘Hike!’ or ‘Mush!’, your dog needs to want to tear ahead of you, and pull to keep the tether tight. I have noticed that many dogs will instinctively pull forwards while wearing a walking harness, turning their owners into ‘sleds’, which is exactly why I advise that martingale collars or head halters should be used for teaching polite walks. The front range harnesses are an exception, because those have a ring at the chest to Discourage pulling. You might think that dogs that are always pulling their owners around on walks, might be great at Joring. Yes, they very well might be but…. those dogs must still be taught that You are the Leader. As Leader, You must have control! Having a dog that loves to be ahead of you, loves to pull you around is a dog that needs some retraining for relaxing walks. That kind of dog though might very well be a great Joring partner, if you can teach your dog some vital commands for turning, stopping and ignoring other distractions. What good is a Joring dog that won’t stop or turn? You would be about as safe as tying yourself to a stampeding buffalo! So you think your dog has what it takes to be your Joring partner? If you are planning on enjoying skijoring or snowboard joring with your dog, it’s really best to start the training in the summer into fall months. Most trainers will start the training on the ground, and then progress to a mountain bicycle to teach a dog to run ahead, and to learn the commands of turning left (Haw) or turning right (Gee) and stopping (Whoa). 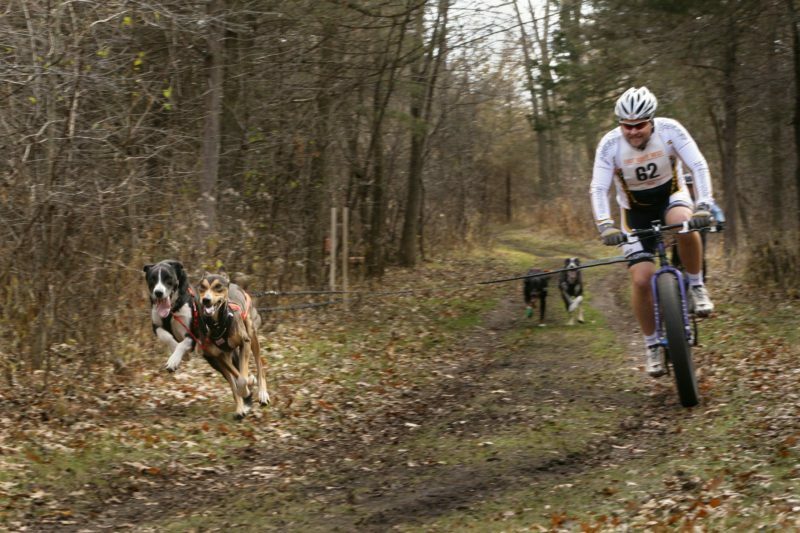 An old website (not mine) called Bikejor.com, is or was created by someone who’s actively involved in training dogs for Bike Joring. Many of the links don’t work on his site, but the information is common sense and accurate regarding training. I recommend you read some of the articles on his site if you are wanting to start training your dog. For those of you who are ready now, and it’s already the snow part of winter for you, you don’t have to wait until the snow is gone to start training. Training in the snow for joring is very similar to training a single sled dog. Here’s an example of starting the training for one dog for pulling a sled. The right harness of course, and there are a variety of types to choose from. The most common harnesses used for Joring with one or two dogs are the X back harnesses , which are mostly used for dog sledding (but are used in Joring too) and the harnesses made by Kurgo and Ruffwear. Kurgo has harnesses for Joring under the category of Active Harnesses. The best one is the Long Hauler Cradle back, which is built for comfort but also to prevent a dog from finding ways to squirm out of their harness. You can buy the Long Hauler Cradle Back Harness HERE. Kurgo also sells the waist harness and towline or tether, but separately from the dog harness. Ruffwear is a company that has been making harnesses for awhile and they have a complete Joring set (waist harness, towline and dog harness) on Ebay that you can get HERE. You will of course have to have a good sturdy mountain bike and have some biking skills, if you are starting with bikejoring. To skijore, it’s a given that you’ll need ski equipment for yourself and a certain level of skiing skill. That’s all you basically need for training, but once your dog is trained and you are hitting the trails, you’re going to want to pack an emergency kit, dog boots, dog jacket and non perishable dog food. The emergency kit should be adaptable, so you can use it for yourself and your dog. Some dried non perishable food for yourself would be a good idea too. It’s always better to be prepared in case of emergencies, right? That’s why you’re here right? I’ve done some of the research for you but you’ll get the best result out of your dog, by being prepared with the most knowledge that you can collect. If you like reading, like I do, there are some books out there, that have become classics. Skijor with your dog, found on Ebay, is a must have for beginners. Many dog Joring enthusiasts own this book and refer back to it, time and time again.I am going to end this post with a little excitement to get you fired up! I must say that I was enjoying while reading this article. I have two small dogs and I think that they could not endure this, haha. Joring in the snow is very interesting “sport” and I would like to give it a try. 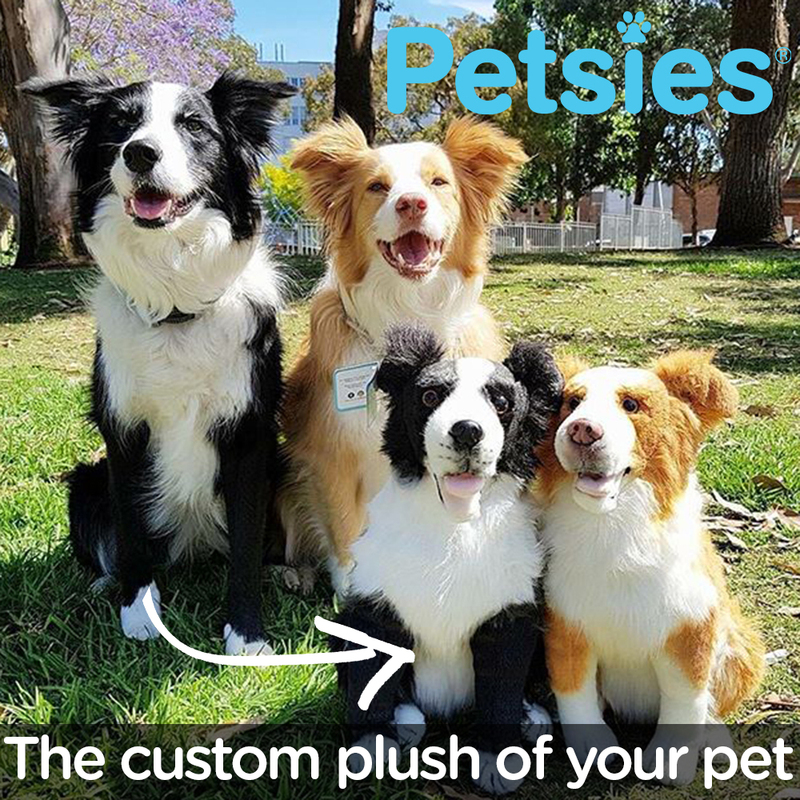 Doing it with dogs can be very interesting and I think that both owner and dog would enjoy. Danial, while small dogs are not sturdy enough for a sport like skijoring or bikejoring, you could do canicross with them. Check out the page called Joring, where I describe the different types of Joring. Thank you for reading and checking in. This looks like so much fun. I want to try now, haha. And I was wondering what kinds of dogs would work best and you went and answered my question right in the post! I appreciate the comment of avoiding certain dogs for the winter sport. It’s true that we have boots and jackets for them, but you’re right, not everything is covered. You really have all the essentials covered here. In addition to what kinds of dogs and where to get training, necessary equipment is also mentioned. This is a super helpful post for anyone trying to get into the field. Thank you! Thank you for commenting Nicole 🙂 While I can no longer run with my dogs, due to damaged knees, Joring would be great for those that are reasonably fit for skijoring. I just got in from taking my dogs for a invigorating walk through deep snow on our ranch. I was wishing for a dog sled by the time I was halfway around our route. I love your website, and Dog Joring sounds like so much fun! I used to have Pit/Catahoula mix and she would have been great for joring I think. She had so much energy and was very ADD, but this kind of activity would have been great for her (and fun for me). I didn’t know this was a thing, so thanks for the info! Thanks Karissa, yes it really is a thing! LOL! Hey there! How are you doing? I really enjoyed reading this blog post on “Dog Joring in the Snow” as you’ve provided us with lots of valuable information. I agree with whatever you said but I would like to add something which I feel is right. If you want to learn how to balance your body, you won’t find an other activity which suits best other than Dog Joring. Thank you, yes I agree about balance. Really any sport that involves contact and partnership with a four legged partner needs balancing. Joring dogs appreciate a human behind them that is in tune with their own movements, not dissimilar to a horse and rider. A horse cannot do his or her best, if the rider is out of balance with the horses’ movements. Loved the article very insightful about joring as I have always put joring together with sledding I found it interesting to know the real definition. My lab mix I think would be good with this as he loves to be in the lead. Though I can see where it would take some work and consistancy on the part of the owner. Thanks Cathy, yes your Lab sounds like a good candidate for Joring! Florence, your German Shepherd sounds like a good candidate for Bikejoring if you are handy with a bike yourself. Your Terrier sounds like he might be too small to do any pulling as in Bikejoring but you could take it slow, opting to leash him beside you for shorter rides. Canicross is a good option for small dogs, check out the page called Joring, where I have a brief description of each type of Joring. Thanks for checking in. Joring! Cheers To great, and happy winter holidays! Love the site. I would love to try Joring with my dog, so I will check out all the training advice given here. Thanks a lot!